Experienced aquarium owners who want to have the most interesting, spectacular tanks in their homes will eventually upgrade from freshwater to saltwater tanks. With this change comes a whole new world of possibilities. Saltwater aquariums generally need to be bigger than freshwater, and are more expensive and time consuming to set up and maintain than freshwater tanks. 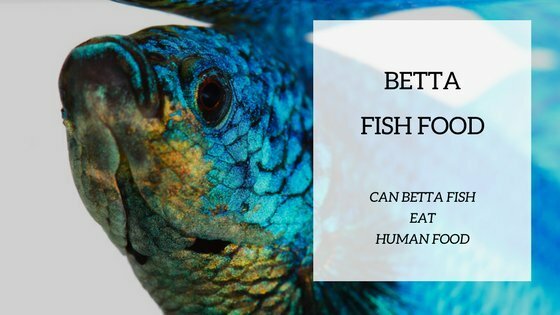 This is because saltwater fish are also typically much more sensitive to things like temperature, ph, and other factors than freshwater fish are. However, the wider array of colorful, exotic fish and dramatic aquatic species available in saltwater or marine tanks prove irresistible to many. These tanks contain saltwater fish and inorganic décor. These tanks are often used to showcase very large, exotic, or aggressive fish, and can be easier to maintain and troubleshoot than other marine aquariums. Coral and other living plants can often require a lot of care by themselves, so using artificial lookalikes can keep your aquarium looking natural without adding a lot of extra work for you. “Live rock” or “live sand” doesn’t actually refer to living rock, of course. “Living” rock or sand refers to inorganic structures that naturally host an array of organic, living creatures. Coral skeletons, rocks, and sand harvested from the ocean are home to hundreds of species of bacteria, plankton, and other microorganisms. These microorganisms survive on algae and fish waste, and are integral to creating and maintaining a natural, healthy marine environment in a home aquarium. These added pieces can help make your aquarium a more exciting place to be for your fish, and create a more natural environment overall. While it can be more work, the organisms that dwell in these structures can assist you greatly in keeping the tank clean and your fish healthy. A reef aquarium is the most ambitious type of aquarium for a home hobbyist, as it simulates the natural conditions of a coral reef. Creating a reef aquarium requires a careful balance of fish, marine flora like living coral, and healthy microorganisms to simulate a natural tropical ecosystem. These are difficult aquariums to create and maintain, because the water chemistry, water temperature, light temperature, and bacterial systems need to be carefully monitored and maintained. As we have seen in wild coral reefs, small imbalances can kill the entire system. While rare, it is also possible to create a temperate saltwater aquarium rather than a tropical one. These saltwater tanks are kept at a lower temperature, to simulate conditions deeper in the ocean. These tanks can host fish, mollusks, crustaceans, anemones, and other species accustomed to colder temperatures. Less is known about how to create these tanks and ensure healthy co-existence between species, and fewer tank inhabitants for these climates are commercially available at pet stores. Of these types of tanks, the fish only with live rock (FOWLR) is the easiest for someone new to saltwater aquariums. 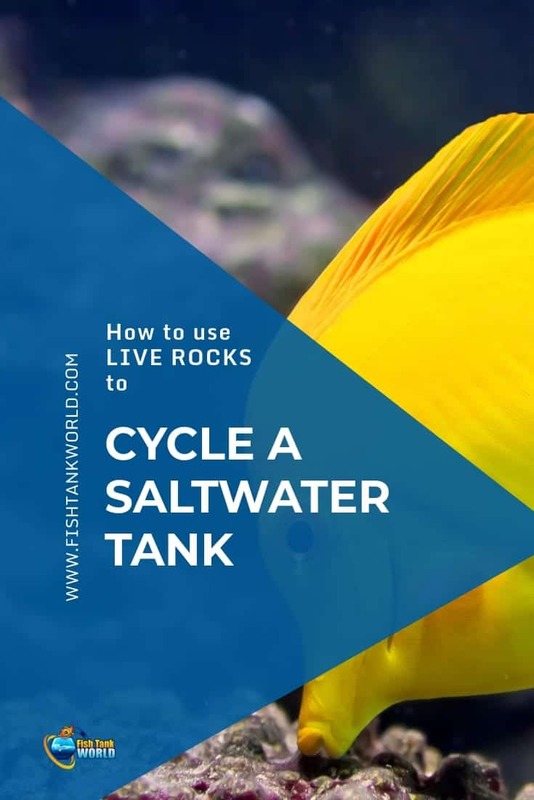 This makes these tanks easier to sustain, and is good practice for learning the skills necessary to maintain the more difficult saltwater reef tanks. Overall, they provide the most ideal balance of ease versus making your aquarium look natural and beautiful. Initial equipment will involve purchasing the aquarium tank, a filtration system, lights, a protein skimmer, and live rock. Live sand is optional, but recommended. You will also need to purchase salt water, or the ingredients to make and test salt water from tap water, as well as a water testing system or strips. If you don’t already have it, some basic cleaning equipment will also be necessary, particularly a large bucket specifically devoted to the aquarium and aquarium water. If you attempt to add any living creatures to the aquarium before it is perfectly ready, they could die. This could cause you to waste money on fish that can be particularly expensive. Note: When buying live rock, thoroughly inspect every hole and nook to avoid introducing mantis shrimp. as they are very difficult to eradicate once established. Mantis shrimp are highly undesirable “hitchhikers” in live rock, due to their power and predatory nature. While they are attractive and interesting, and some people do keep them as aquarium inhabitants, most people regard them as pests. They will eat other fish and crustaceans, physically damage living rock, and are strong enough to damage the tank itself if they consider it an obstruction. In adulthood, they can also seriously hurt a fish keeper if they get ahold of a stray finger. Check out here our guide to buy Live Rocks. The first thing to do when starting a new FOWLR aquarium is to “cycle” the water . This means spending 6-8 weeks building a healthy bacterial environment in your aquarium before introducing any fish or marine life. The “cycle” is the nitrogen cycle, and the right balance of beneficial bacteria will constantly clean the aquarium water by converting ammonia into nitrogen, in a process essential to life. Consider the way that the fish you plan to buy would live in their natural environment, where they have no owner to keep their homes clean. They rely on these other organisms to do the work needed to maintain livable conditions. That means that these organisms will not only be beneficial to them, but to you as well. 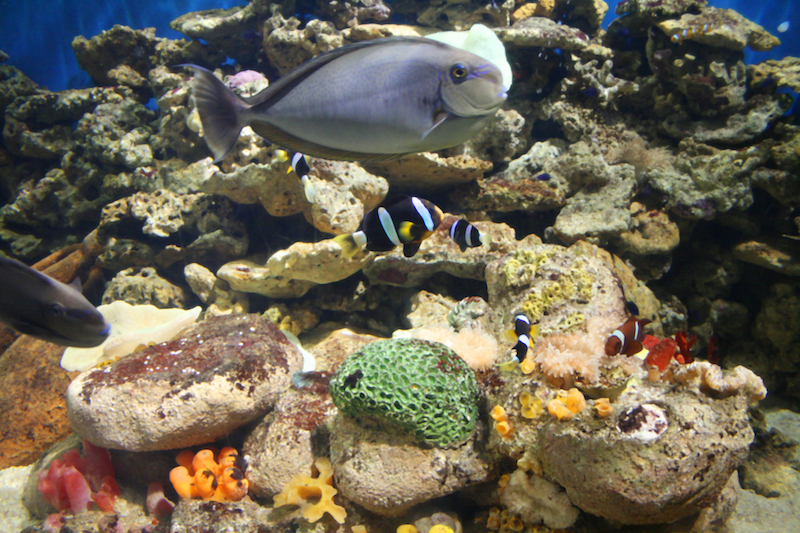 Fish and marine animals constantly produce ammonia in their waste. This ammonia is toxic, and will kill the tank’s inhabitants if it isn’t cleaned and removed. A healthy aquarium requires the presence of beneficial nitrosomonas, which will consume the ammonia and convert it into nitrite. Nitrite is also toxic, so nitrobacter are needed, who consume nitrite and convert it to nitrate. Nitrate is less harmful to fish, but is still toxic in large concentrations, and is harmful to corals. So finally, we rely on denitrifying bacteria that live in live rock and sand, and convert nitrate into harmless nitrogen gas, which is released from the aquarium in the form of air bubbles. All these bacteria need to be present, in a healthy relationship to each other, in order to create the proper nitrogen cycle and have an aquarium habitat that can sustain marine life. Note: It used to be believed that the best way to start the nitrogen cycle was to introduce a fish or two that will produce ammonia and begin to feed the bacteria. This practice is not necessary and is actually harmful to the fish. Current aquarium experts advise against it. Rinse the new tank and aquarium equipment in plain water with no soap or detergent. Place and set up filters, skimmers, heaters, and all the other aquarium equipment, but don’t turn it on yet. If using an inorganic substrate, rinse it with plain water and add it to the tank. The bottom layer should be 1-2 inches thick. Make the saltwater solution and fill the tank. 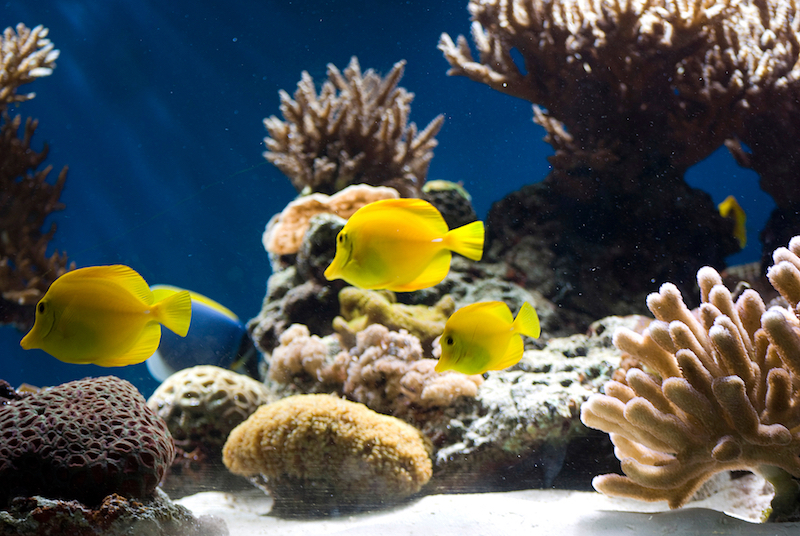 If you are using store-bought saltwater, it can go right into the tank. If you are mixing it yourself, follow the instructions on the package. Turn on the aquarium heater and filter and let the tank run for a day or more, but keep aquarium lights off during cycling. Keep the aquarium between 75-85 degrees. After a day, if the water is the correct temperature and specific gravity, and if you are adding healthy live sand, sprinkle it over your substrate. Place the live rock into the tank. Use a cured or semi-cured live rock, and let the aquarium run for a few days. There will be some natural die-off from microorganisms in the rock, which will be sufficient to begin the nitrogen cycle. Keep an eye out during this time for unwanted hitchhikers. This is the best time to trap and remove unwanted mantis shrimp or bristleworms. Small worms, starfish, and other microorganisms can remain, as they are signs of a healthy tank and add interesting biodiversity. Keep the thermostat, pump, filter, and skimmer running this whole time. After three days, test the water. You should see a measurable amount of ammonia, which indicates the beginning of the nitrogen cycle. If there is no ammonia present, toss in a small shrimp or scrap of (natural, no preservatives or ingredients) fish from the fishmonger. The decomposition will give off ammonia and start the cycle. After three days, test again for ammonia. Note that sometimes, fully cured rock will not give off measurable ammonia readings at all, and the first readings will indicate nitrite. About a week after the ammonia is detected, test the water again. There should be high levels of ammonia. The water may also have become slightly cloudy and have an unpleasant odor. This is a good sign. Continue to run the tank and keep an eye out for unwanted hitchhikers. Again, if the tank shows low ammonia but indicates nitrite, this is still healthy progression. About a week later, test again. The water should indicate the presence of ammonia and nitrite at this stage. There may also be various colors of algae blooms that come and go while the tank cycles. While this is normal and expected, they can be prevented (and are recommended for the entire life of the tank) by the use of a phosphate remover. About a week later, test again. There should be almost no ammonia and high nitrite. The following week (or a little more than a month after filling the tank), both ammonia and nitrite levels should be very low or nonresistant, with nitrite not to exceed 2 -5 ppm. This is a good time to clean the aquarium and change 20-25% of the water. Once nitrite levels are virtually undetectable, it is possible to turn on the lights and begin to introduce the first marine life. Begin slowly, with hardy creatures like shrimp, snails, or hermit crabs. These creatures are going to have a slightly easier time adjusting to conditions that might not be ideal. Add one or two to the tank and wait a week, testing the water for continued low nitrites and making sure the inhabitants remain healthy. After that, it is possible to add corals, and then begin adding fish slowly over time. The bacteria population needs to grow in tandem with the fish population. Adding too many organisms too fast creates too much ammonia and disrupts the nitrogen cycle, and it will be necessary to start all over again. If you want to successfully create an environment with a lot of healthy fish and other organisms, it will be important to be patient and work very slowly. This isn’t a process that can be rushed. 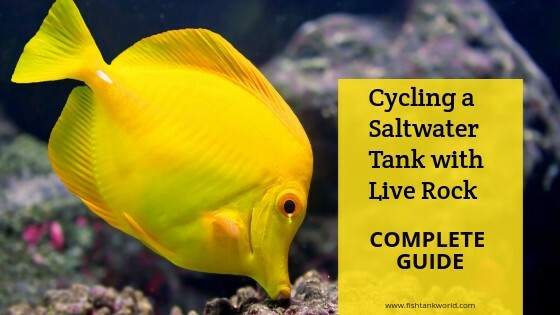 When the tank is established and healthy, the sand, water, and live rock can be used to start a new saltwater tank with significantly shortened cycling time. This is a way that experienced aquarium hobbyists can have a variety of tanks, or help each other out with a head start. 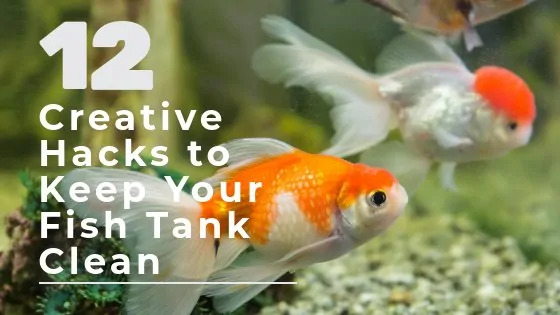 By the time you’ve gotten multiple tanks going, you’ll be sure to be a pro when it comes to taking care of your underwater pets. Once the cycle is established and the tank is healthy and operational, it still needs ongoing maintenance. This is going to be very important to preventing any problems before they start and can have an opportunity to seriously effect your fish. Feed the fish once or twice a day. Do not overfeed the fish; if extra food is floating around the tank or collecting on the substrate, reduce quantity of food given. Observe the fish and marine animals. Count them to make sure they are all there. Look for changes in behavior or appearance. Top off water lost to evaporation. Check the water temperature and specific gravity to detect unwanted changes or problems. Rinse out the protein skimmer. Test the water for ammonia, nitrite, nitrate, and phosphates. If water levels are off, perform a partial water change. Clean the inside and outside of the aquarium glass. Wipe salt creep off of surfaces. Perform a partial water change. Water change frequency depends on the population of the tank, as greater population density produces more waste and debris. It is better to do a smaller water change more often (10% of the water once a week) than a larger change less often (25% once a month). Never go longer than a month without a partial water change, and never exceed 25% of the water being changed at once. Changing too much of the water will disrupt the nitrogen cycle and stress the fish. Do not change old filters at the same time as the water change, to avoid disrupting beneficial bacteria and harming the nitrogen cycle. Replace filters on alternate weeks as water changes. Clean the hood and light. Check and clean out tubes. Clean aquarium parts and accessories. Check and replace light bulbs according to manufacturer’s recommendations. As bulbs age, their light temperature changes, and they may not be as effective as they were. This is more important in a reef tank than a FOWLR, but should be attended to. 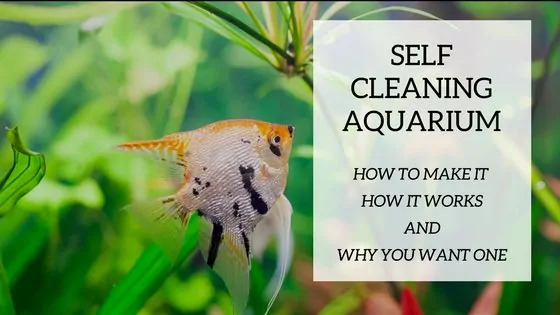 If you’ve never owned a saltwater aquarium before, then the work involved can seem pretty daunting, but once you have a solid handle on what you’re doing it will become second nature and you’ll be able to help your fish and other critters live happy and healthy lives. As long as you keep up with the regular maintenance and cleaning involved with your tanks, you’ll be able to prevent any serious problems before they really have a chance to get going. With regular care, a FOWLR aquarium can be both a fascinating hobby and a beautiful addition to a home. All it takes is a little patience when you get started, but once everything is in place the payoff is sure to be huge.